We are specialized in the art of eyelash extensions. At Blossom Beauty we use only the best products on the market. elated with your lush new lashes and feeling more beautiful than you already are! 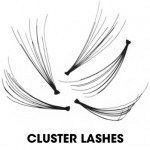 WHAT ARE CLUSTER EYELASH EXTENSIONS? Cluster eyelash extensions are applied with glue on top of each other along the lash line. Single eyelash extensions/volume lashes are applied to one single eyelash with military precision. Clusters are closer to gluing an entire false eyelash to your eyelid as they are glued together and therefore don’t shed with your human eyelash. They are far too heavy and they pull on all the eyelashes, overuse could lead to permanent eyelash loss. Your natural hairs cannot shed at the end of their cycle and your eye becomes a breeding ground for infection. There is a lot of adhesive involved and in many cases it’s touching the skin and blocking the follicle, so new eyelashes are unable to grow and you risk ingrowing hairs. Eyelash extension adhesive should be kept away from the skin. It’s not designed to touch it and should be used extremely delicately. 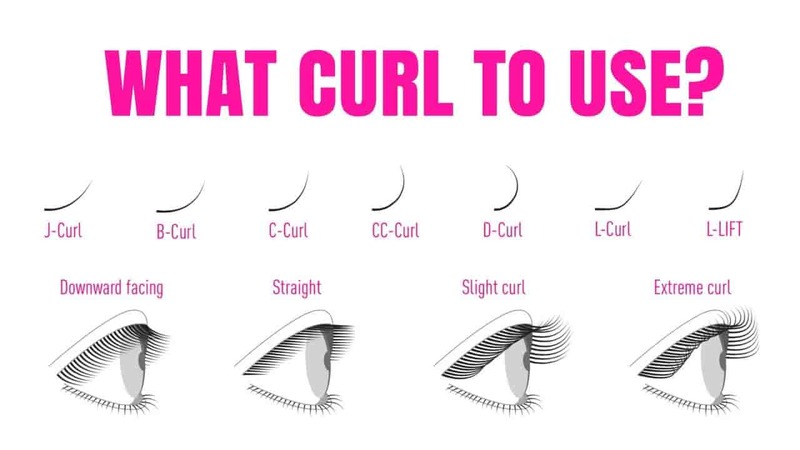 LC curl – just as an L curl, LC curl has a flat base, however, the curl in LC curl is stronger which allows to open the eye visible and create glamourous look with the slight “eyelash curler effect”. How to pick the best eyelash extension? Most clients are new to the eyelash extension trend. Eyelashes come in many varieties and styles which can be confusing. I’ve been doing eyelash extensions for over 5 years and I have experienced many eyelash types. My expertise and experiences in eyelash help me to understand each and every clients needs. Having eyelashes done isn’t very difficult there are a few styles such as Classic, Full and Volume. Eyelash extension stores are everywhere, but there aren’t that many good technician who have a lot of experience on eyelashes. 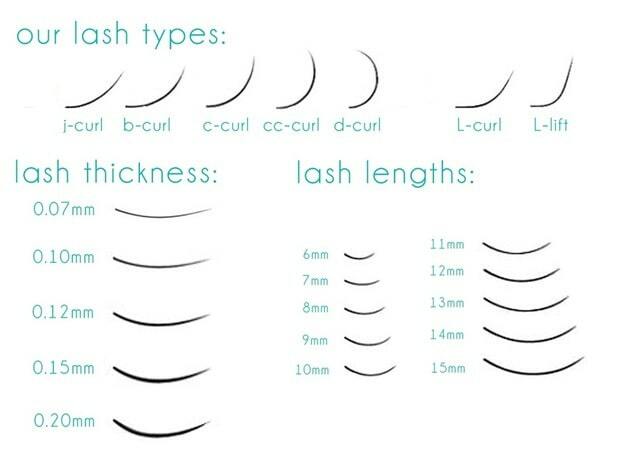 At Blossom Beauty Studio, we have many eyelash sizes and varieties to fit your needs! The Full Set and the Lash Mini are different in the number of lash extensions applied. For the Full Set, 80-90 lash extensions are applied per eye, whereas for the Lash Mini, 30-40 extensions are applied per eye. Both services can be adapted to any type of look you are looking for, but the Lash Mini may be preferable for a more natural look. We use synthetic silk and mink lashes of different lengths and curls to best suit your eye shape and your desired look. Extensions last about 4-6 weeks, and indefinitely with touchups. You are the only person in the world that has your eye shape! Sure, we can group you into a category (round, small, doe eyed, etc.) but nobody’s eyes are truly the same! Let us help you find which lash extensions you think would be the best for you! We offer two of the very best types of Eyelash Extensions! There’s Volume lashes and Classic lashes! Volume lashes are thicker, and they do just what their name entails… Add Volume! Our Classic Lashes still add length and volume, which is what everyone is looking for when looking for good lash extensions! 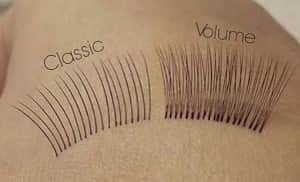 The difference is that our Classic Lashes aren’t as thick as the Volume Lash! Therefor, these lashes may be for someone that wants something more natural looking, but still adds great length. With traditional classic lash extensions, we could only safely attach one eyelash extension to each of your single natural lashes. We can only apply extensions on how many natural lashes you have. This can be disappointing if you don’t have many natural lashes yet desire a thicker look. 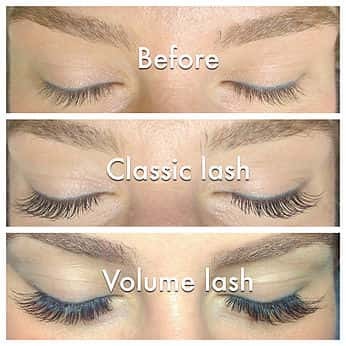 Our new Volume lashes give even “natural-lash-challenged” clients the option for volume they have never had before! Here is a photo below of a guest with Volume Lashes Extensions! 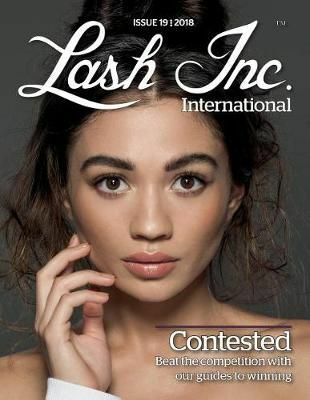 For those clients looking for extra volume, LashSpot SF also offers 3D Volume Lashes (full set only). 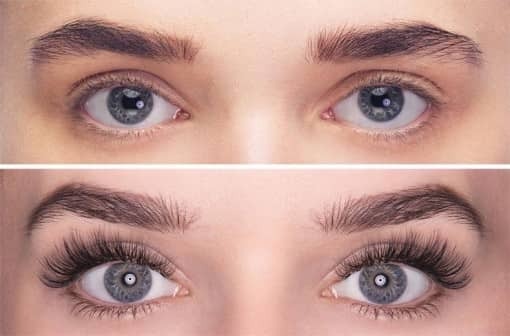 The 3D volume lash extensions adds an extra dimension to your lashes, with three extensions per natural lash instead of one, giving your lashes extra drama and flourish.